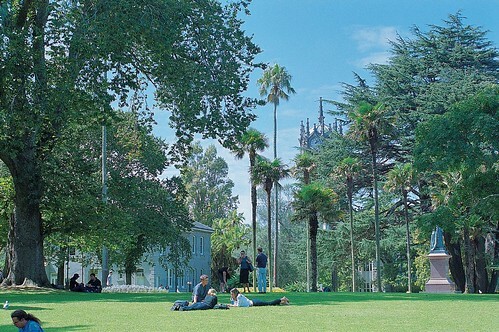 One of many advantages of Languages International is that the buildings are located in Albert Park. I really like this scenery near our school. Anytime, we can sit on the grass or lie down or sunbathe. The city tower seen from this park is also fantastic. Sometimes, we can have a lunch that we prepared on the grass.